In True knowledge exists in a network, I write, Lee Smolin describes our universe at an atomic level as curved, open, diverse and highly networked, Manuel Castells describes our society as evolving into a networked one which has significant cultural and political implications, Janine Benyus talks about nature as a highly networked open, diverse eco-system from which we as humans have much to learn revolutionising how we invent, compute, heal ourselves, harness energy, repair the environment, and feed the world. Our nonlinear world understands everything is interconnected to everything else. 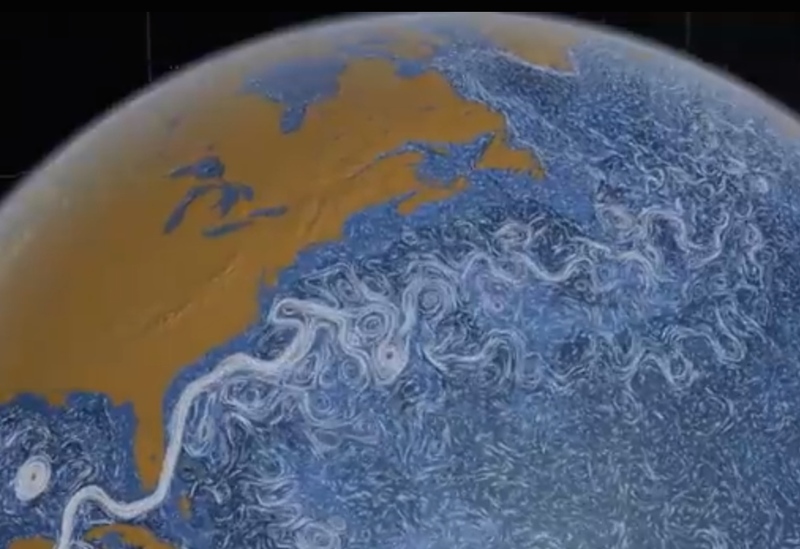 This video is a wonderful demonstration of the interconnectedness of our oceans. We have much to learn from natures design models and understand our own limitations if we believe that organisations or economies work best when they are deconstructed to the point when we can no longer see nor comprehend the whole system. Watch and wonder.